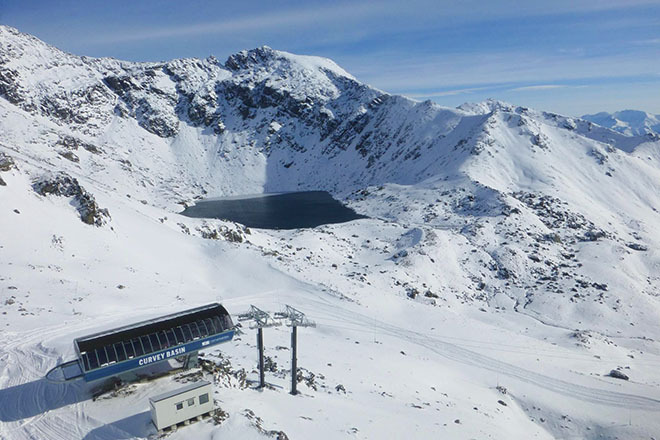 New snow has turned The Remarkables ski area near Queenstown into a winter wonderland – but hasn’t deterred workers putting the final touches onto the new Curvey Basin chairlift. 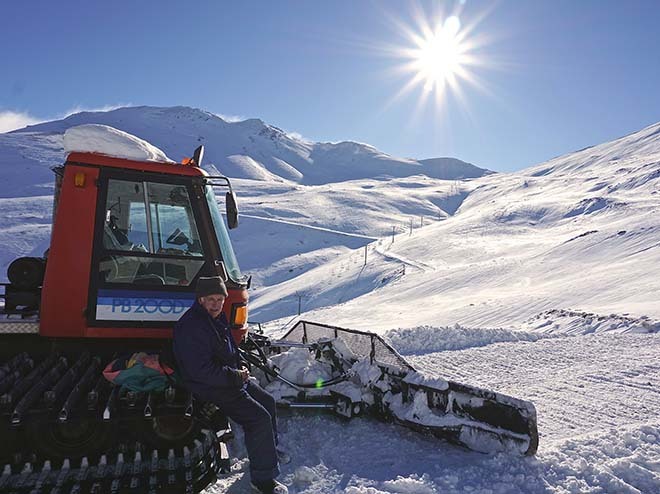 Half a metre of snow fell at the ski area early this week, but progress is still “on track” despite the sometimes challenging weather conditions. 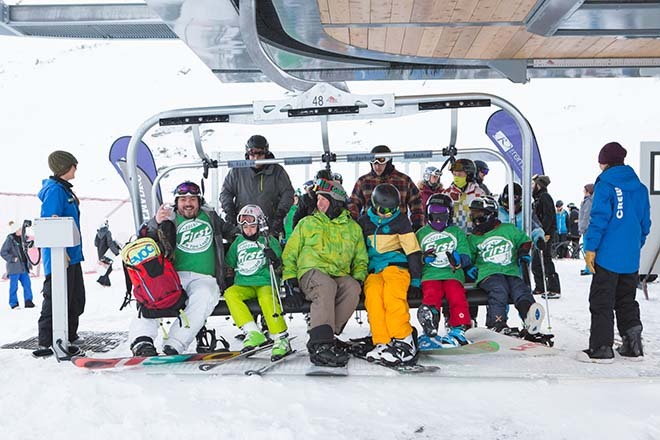 The new high speed chairlift is part of a multi-million dollar investment for the ski area and will open up 20% more terrain and countless off-piste opportunities. 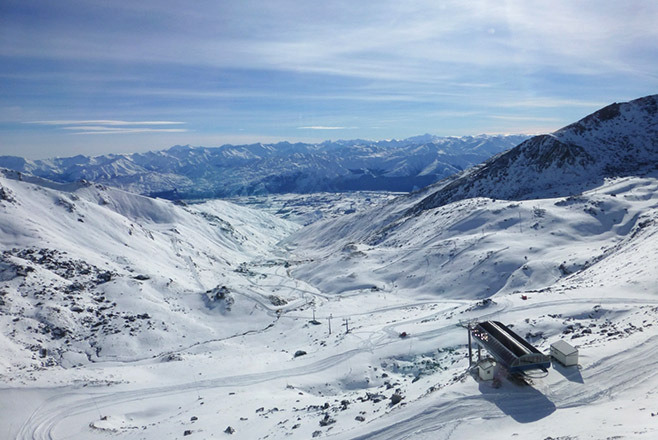 Final load tests are scheduled to be carried out on June 5 before the new lift is officially “handed over” to NZSki on June 6, well before the ski area’s scheduled opening on June 21. Ski area manager Ross Lawrence said the weather has only been a “minor obstacle” for the US-based Leitner Poma team installing the lift. “The guys install new lifts all around the world and like our team, are used to working in snowy conditions, so as far as we’re concerned it’s business as usual,” said Mr Lawrence. “Considering the weather conditions thrown our way this May we’re thrilled to be on track and making great progress. “The chairlift cable is on and all that’s left to do is splicing the cable over the next couple of days, loading the chairs and carrying out the load tests. A project of huge proportions, the 1.2km chairlift has 95 cubic metres of concrete beneath each tower and a 19-tonne cable which will carry the 63 six-seater chairs. Sealing of the lower 4km of the access road, another new development for The Remarkables this year, is also nearing completion. The plan is ultimately to seal the entire road, improving safety and comfort for skiers and snowboarders. Other exciting developments on the mountain include improved snowmaking, an increased learner’s area, and realigned and expanded car parking areas. Work on the basement of a new state-of-the-art base building scheduled to open for the 2015 season has also started on the mountain. 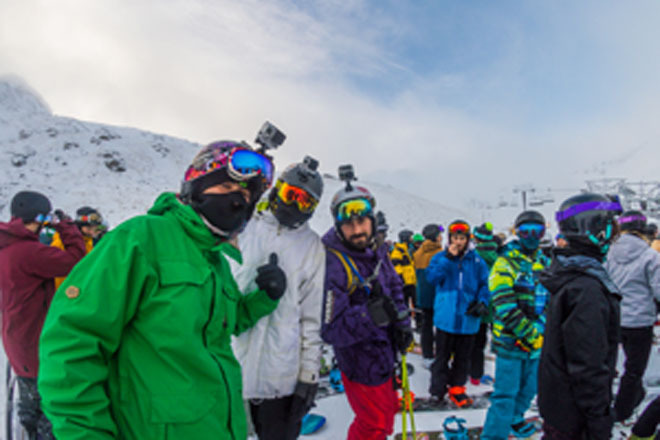 “It’s all go up here and especially since the snow’s arrived we know people just can’t wait to get up the mountain, take a ride to the top of Curvey and explore all of that fantastic new terrain,” said Mr Lawrence. Also, the blog loads extremely quick for me on Safari. Exceptional Blog Viagra statistik!